GOODFUNDSADVISOR: 0% INTEREST ON HOME LOAN!!! INTERESTED??? 0% INTEREST ON HOME LOAN!!! INTERESTED??? 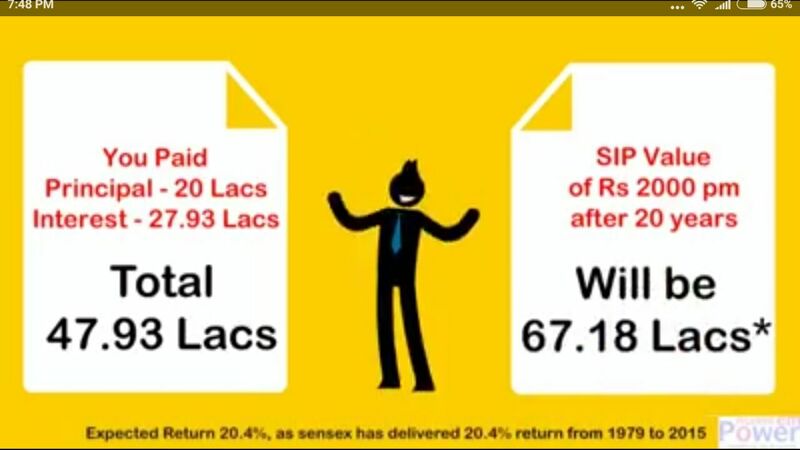 Invest 10% extra of your Home Loan's EMI in mutual fund Equity SIP and all your home loan principal and interest will recovered with profit in 20 years. Thus you get back all your principal and interest back...plus earn a cool profit too!!! 🎯 Start your SIP now and enjoy interest free home loan. 💢 Now to get back your interest you just have to keep aside 0.20% of your home loan amount. ie 0.10% of 10,00,000/- is 2,000/- per month till the tenure of your home loan. In Home Loan you pay an Interest + Principal of Rs. 22,37,144/- in 20 years. 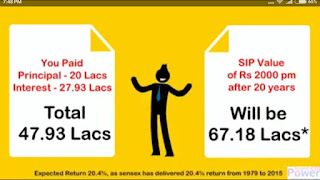 While in Mutual fund SIP you generate a wealth of Rs. 26,54,147/- which is more than the Interest amount you are paying in next 20 years. Mutual fund investments is market risk.cakculation which derived subject to performence of selected mutual fund scheme.